This tintype is currently offered (Oct 2018) on Cowan’s Auction site. Anonymous, half plate tintype featuring officers and enlisted men of the 38th Indiana Infantry, taken around Murfreesboro, TN in April of 1863, while the 38th was encamped there following the Battle of Stones River. 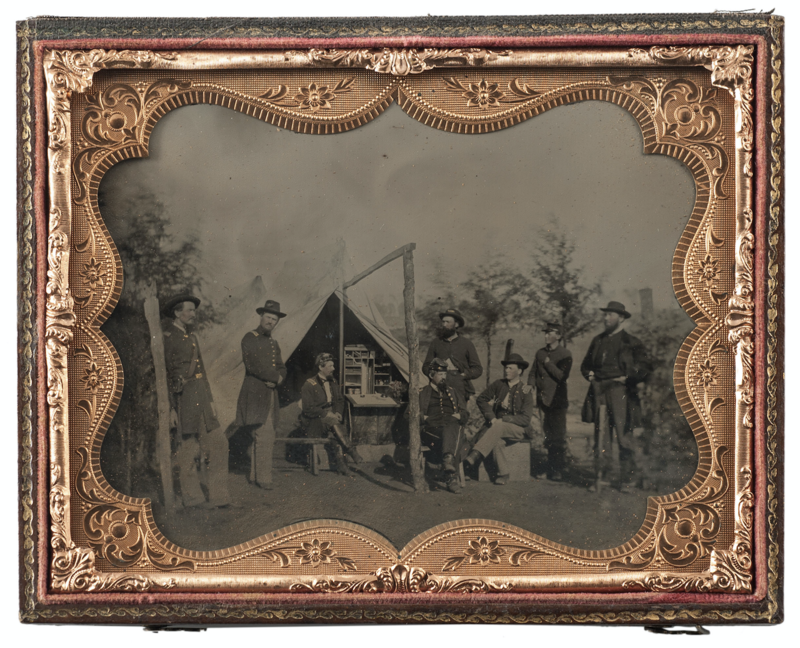 This spectacular outdoor image shows the men gathered around an open tent, with a captain’s desk figuring prominently in the scene. Image housed in a full pressed paper case, fully separated at spine. 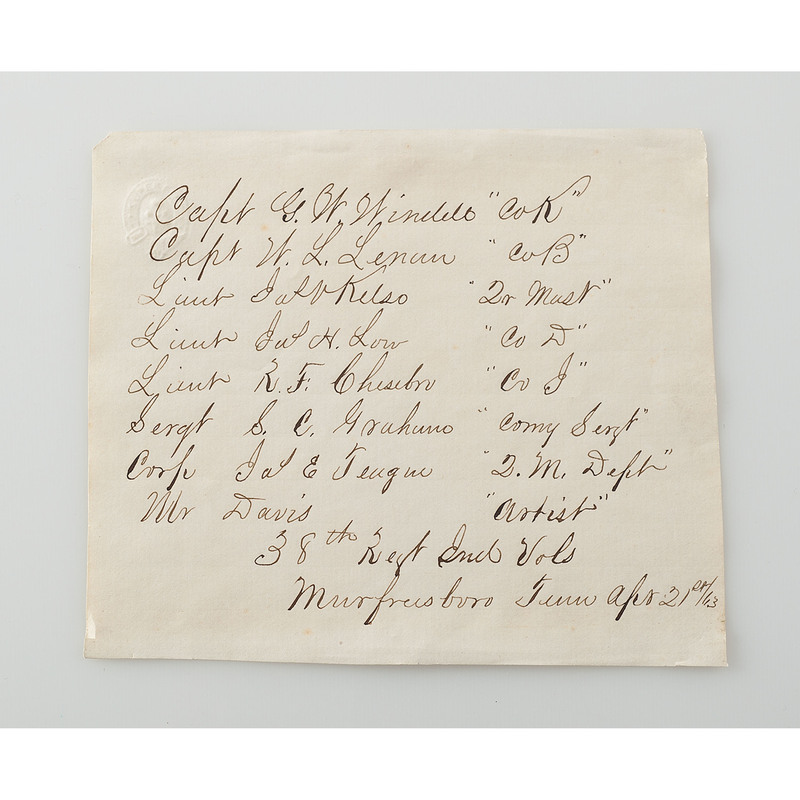 Accompanying period label with embossed maker’s mark identifies all of the subjects, including Captain George Windell of Co. K, Captain William Leneau of Co. B, and Lieutenant James Low of Co. D. At the time this image was made, it is likely that Low had recently returned to the regiment after recovering from a serious head would received at Stones River. Low eventually took command of the 38th, but was killed at the Battle of Bentonville, NC, before the official commission and subsequent promotion was received. Additional paperwork included with lot provides more detailed biographical information of each subject, referencing official reports, company histories, and post-war memoirs. 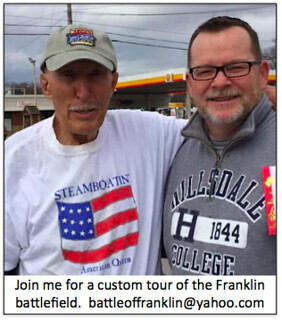 The 84th Indiana was in Grouse’s Brigade, Kimball’s Division at Franklin. I acquired this Strength Report of the 84th Indiana for March 1864 not too long ago. The goldmine is in the bottom third of the document. The writer details copies notes about numerous 84th men and what their status is. For example, Cpl William Pittengen is a deserter; he lists men in the hospitals in Nashville, mentions name after name of soldiers (e.g., Rufus Taylor, David Mohler, Francis Wincett, Col Champion, Benton Skinner, Capt John C Taylor, 1st Lt Mcclure who is detached to Fort Granger by order of Gen Gordon Granger. Many more soldier’s names are listed. 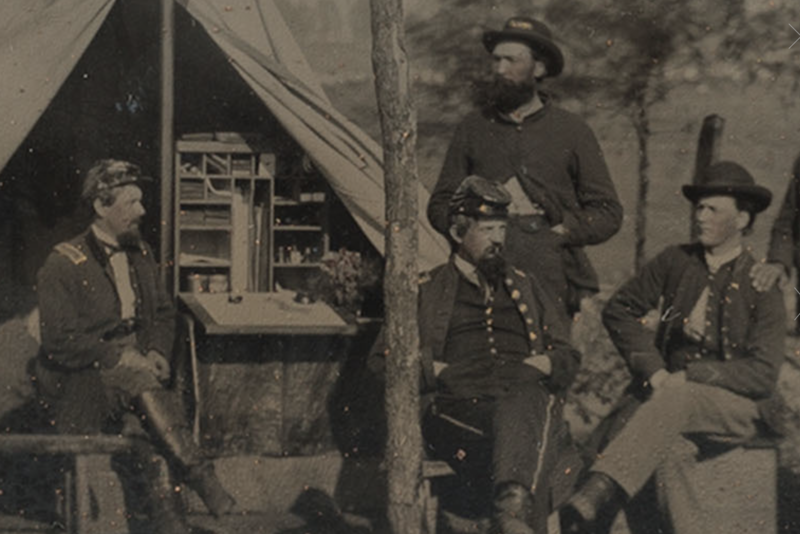 The 84th helped construct Fort Granger in Franklin from March-May 1863. The 84th mustered in at Richmond, Indiana. 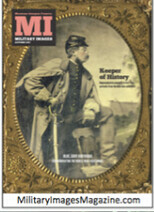 It was assigned to the 2nd brigade, 1st division, 4th Army Corps about Feb 1864. The detail in the document is relevant in getting a better handle on the strength of the 84th Indiana following their action Chickamauga and Chattanooga in late 1863, then at Buzzard’s Roost, GA in late February 1864.